Natural history museum paleontologists in Copenhagen and Helsinki have succeeded in mapping historical biodiversity in unprecedented detail. For the first time, it is now possible to compare the impact of climate on global biodiversity in the distant past – a result that paints a gloomy picture for the preservation of present-day species richness. The study has just been published in the prestigious American journal, Proceedings of the National Academy of Sciences (PNAS). The diversity of life on Earth is nearly unimaginable. There is such a wealth of organisms that we literally can’t count them all. Nevertheless, there is broad consensus that biodiversity is in decline and that Earth is in the midst of a sixth extinction event – most likely due to global warming. The sixth extinction event reflects the loss of plant and animal species that scientists believe we are now facing. It is an event that, with overwhelming probability, is caused by human activity. "One of the problems with the hypothesis of global warming is that it is difficult to predict what happens to ecosystems and biodiversity as the planet warms. By examining animals of the past and species adaptability, we can more accurately respond to the question of what leads to crises in ecosystems, and what happens thereafter. Thus far, it has been a big problem that some of the largest fluctuations in biodiversity through geological time have been exceptionally tough to grasp and accurately date. As such, it has been difficult to compare possible environmental impacts and their effects on biodiversity. Among other things, this is because climate change takes place quite abruptly, in a geological perspective. As previous calculations of biodiversity change in deep time have been based on a time-binning partitioning divided into 10 – 11 million year intervals, direct comparisons with climate impacts have not been possible. 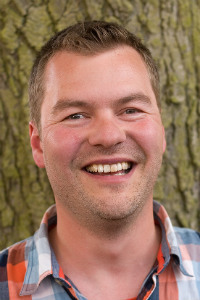 Our new biodiversity curves provide unprecedentedly high temporal resolution, allowing us to take a very large step towards the understanding and coherence of climate-related and environmental impacts on overall biodiversity – both in relation to species development and extinction event intervals,” explains Christian Mac Ørum. 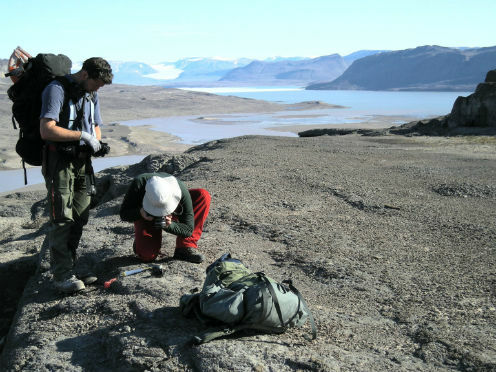 Researchers at the universities of Copenhagen and Helsinki have devised a new method that can provide unprecedented accuracy in the portrayal of biodiversity fluctuations on geological time scales. This has lead to new insight, both in relation to what spurred the largest marine speciation interval in Earth’s history, as well as to what caused our planet’s second-largest mass extinction event. This method has deployed, among other things, big data and the processing of large quantities of information collected on fossils, climate and historic geological changes. The study covers a prehistoric period characterized by dramatic changes to Earth’s climate and environment. Among other things, it documents increasing levels of oxygen and heavy volcanic activity as well as important events that documents the rise in the number of multicellular marine species, such as during the 'Cambrian Explosion'. "The studies we have been engaged with for over four years have, for the first time, made it possible to compare developments related to biodiversity with climate change, for example. We are now able to see that precisely when ocean temperature fell to its current level, there was also a dramatic increase in biodiversity. This suggests that a cooler climate – but not too cold – is very important for conserving biodiversity. Furthermore, we find that the very large extinction event at the end of the Ordovician period (485 – 443 million years ago), when upwards of 85% of all species disappeared, was not "a brief ice age" – as previously believed – but rather a several million years long crisis interval with mass extinctions. It was most likely prompted by increased volcanic activity. It took nearly 40 million years to rectify the mess before biodiversity was on a par with levels prior to this period of volcanic caused death and destruction," emphasizes Christian Mac Ørum. The largest extinction event occurred 250 million years ago, at the end of the Permian geologic period. 95% of all species are believed to have disappeared as a result of a catastrophe suspected to be due to volcanic activity. The second largest extinction event occurred 443 million years ago, at the end of the Ordovician geologic period. Until now, it was believed that a sudden global cooling precipitated this event, during which up to 85% of all species became extinct. The new study published in PNAS does away with this assumption and points at volcanism as the main reason. The most recent major extinction event took place 66 million years ago, when dinosaurs and other forms of life on Earth became extinct. Volcanism and meteor-impact events on Earth are thought to have caused the disappearance of up to 75% of all species. Today, researchers are talking about the planet being in a sixth extinction event prompted by human-induced change, including global warming. Among other things, the researchers have made use of a large database known as 'the Paleobiology Database '. It contains data about fossils collected from across the planet and from different periods of Earth's geological history. Until now, pulling data to provide an overall picture and assessment of the global situation with high temporal resolution has not been possible due to the arduous nature of the process. The new study has overcome this obstacle by first constructing a globally defined schema of 'time intervals’ that divided a 120 million-year-long period into 53 'time bins'. They then juxtaposed these bins of time with rock formations in which fossils were found. Then, the researchers analyzed their data using a statistical method typically used by biologists to calculate the prevalence of animal life in a given area. The paleontologists used the method to calculate the diversity of genera per time bin, as well as ‘to predict' how many genera ought to occur in subsequent time bin. Not only did this methodology allow for researchers to achieve an unprecedented high temporal accuracy, it also let them account for any lacking fossil remains over geological time.